Stress and Anxiety - Natural Health - Lancaster and Preston . In terms of long-term stress it is important to try and recognise the causes and make attempts to minimize them. However, this is not always possible or easy! There are a number of things which you can do to minimise the effects of stress allowing you to cope better, these include eating a nutritious balanced diet, relaxing, regular exercise and using herbal medicine. Seek help from counseling if necessary. It is also worth remembering that conditions such as food intolerances/allergies can cause emotional symptoms such as mood swings, anxiety, lethargy etc (as well as physical symptoms). Seek advice from a qualified medical herbalist. A brisk 30 min walk - to improve physical health and emotional wellbeing. Helps to relieve stress and keep blood pressure and cholesterol down. Consider yoga, swimming, stretching and cycling. Remember to get out of the office or house for a break, go for a walk ideally surrounding yourself by nature. Remember to have 'me time'; allow yourself time to relax. 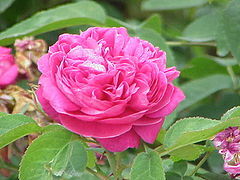 There are a number of herbs which can be used in the treatment of stress. One of my favourite herbs is Skullcap which is a nervine and is especially beneficial for those who have whirling thoughts in their heads. Being a nervine it helps to reduce feelings of stress and anxiety. See individual entry for further information and dose. Valerian (Valeriana officinalis) – used by herbalists as a relaxing herb tonic used to reduce anxiety and tension, and to promote a natural and restful sleep. Limeflower (Tilia spp) – helps to lowers blood pressure, esp when due to stress and can be used to relieve headaches. Safe to use for adults and children it promotes sleep and calms headaches. Adult dose: 1 teaspoon infused in boiling water for 10 minutes, drink 3 times a day. Lemon Balm (Melissa officinalis) - a calming and uplifting herb, helping to relax and unwind whilst raising the spirits. Directions - 1 teaspoon per cup of boiling water, infuse 5-10 mins. Drink 3 times a day. 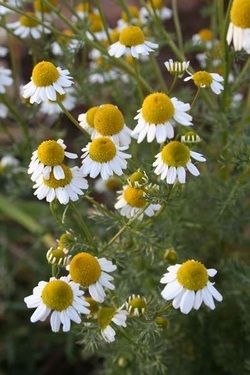 German chamomile (Matricaria recutita) has a wide range of uses - it's a relaxant, anti-spasmodic, carminative, anti-inflammatory, anti-allergenic and a mild bitter. An infusion of the dried flowerheads can be taken for digestive problems such as indigestion, bloating and colic. As a nervine it helps relieve tension and a strong infusion can be used to promote sleep. Safe to use for adults and children. Directions: Mix the dried ingredients together in a clean dry bowl, place in an airtight container and store in a cool dark place. Use 1 teaspoon of the mixture per cup of boiling water. Leave to infuse for 5 mins. Drink up to 3 cups a day. Make an infusion with a handful of fresh leaves and 150 ml water, or 1 tsp of dried herb to 1 cup of boiling water. Drink 3 cups a day. 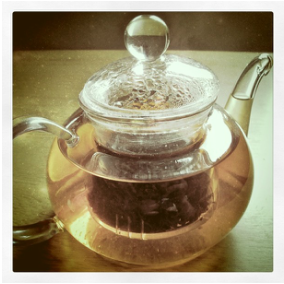 When making teas it is best to use a teapot or a cup with a saucer on top. This ensures that volatile oils are not lost and that you get the most out of the tea. The are two ways to make a herbal tea: infusions and decoctions. If the plants used contain hard, woody material then decoctions are used; when leaves, flowers and stems are used infusions are called for. Making an infusion is like making a cup of tea; the herbs (either fresh or dried) are placed in a teapot or teaball, boiling water is poured over them and the herbs are left to steep for 10-15 mins, then drunk. Decoctions involve bringing the plant material to the boil then simmering, usually for 10-15 mins. Both of these methods ensure that all the active chemicals are transferred to the water. Lavender – can add a couple of drops to pillow can aid a restful sleep (Do not use more than 5 drops as high doses can be stimulating). To relax tense muscles add to the bath a few drops of essential oil of either: Lavender, Rose, Rosemary or Lemon balm. Add 20g dried herb to 500ml of boiling water (use a teapot or cover). Infuse for 5-10 mins. Add to bath water. Alternatively you can place a handful of the herbs in a muslin bag and suspend from the water tap so that water is running through it. Objective: Passionflower (Passiflora incarnata) is a folk remedy for anxiety. A double-blind randomized trial compared the efficacy of Passiflora incarnata extract with oxazepam in the treatment of generalized anxiety disorder. Methods: The study was performed on 36 out-patients diagnosed with GAD using DSM IV criteria. Patients were allocated in a random fashion: 18 to the Passiflora extract 45 drops/day plus placebo tablet group, and 18 to oxazepam 30 mg/day plus placebo drops for a 4-week trial. Results: Passiflora extract and oxazepam were effective in the treatment of generalized anxiety disorder. No significant difference was observed between the two protocols at the end of trial. Oxazepam showed a rapid onset of action. On the other hand, significantly more problems relating to impairment of job performance were encountered with subjects on oxazepam. Conclusion: The results suggest that Passiflora extract is an effective drug for the management of generalized anxiety disorder, and the low incidence of impairment of job performance with Passiflora extract compared to oxazepam is an advantage. A large-scale trial is justified. Research in the area of herbal psychopharmacology has increased markedly over the past decades. To date however, a comprehensive review of herbal antidepressant, anxiolytic and hypnotic psychopharmacology and applications in depression, anxiety and insomnia has been absent. A search of MEDLINE (PubMed), CINAHL, PsycINFO, and the Cochrane Library databases was conducted (up to February 21st 2011) on commonly used psychotropic herbal medicines. A review of the literature was conducted to ascertain mechanisms of action of these botanicals, in addition to a systematic review of controlled clinical trials for treatment of mood, anxiety and sleep disorders, which are common comorbid psychiatric disorders. Specific emphasis was given to emerging phytomedicines. Analysis of evidence levels was conducted, as were effect sizes (Cohen's d) where data were available. Results provided evidence of a range of neurochemical, endocrinological, and epigenetic effects for 21 individual phytomedicines, which are detailed in this paper. Sixty six controlled studies were located involving eleven phytomedicines. Several of these provide a high level of evidence, such as Hypericum perforatum for major depression, and Piper methysticum for anxiety disorders. Several human clinical trials provide preliminary positive evidence of antidepressant effects (Echium amoenum, Crocus sativus, and Rhodiola rosea) and anxiolytic activity (Matricaria recutita, Ginkgo biloba, Passiflora incanata, E. amoenum, and Scutellaria lateriflora). Caution should however be taken when interpreting the results as many studies have not been replicated. Several herbal medicines with in vitro and in vivo evidence are currently unexplored in human studies, and along with use of emerging genetic technologies “herbomics”, are areas of potential future research.